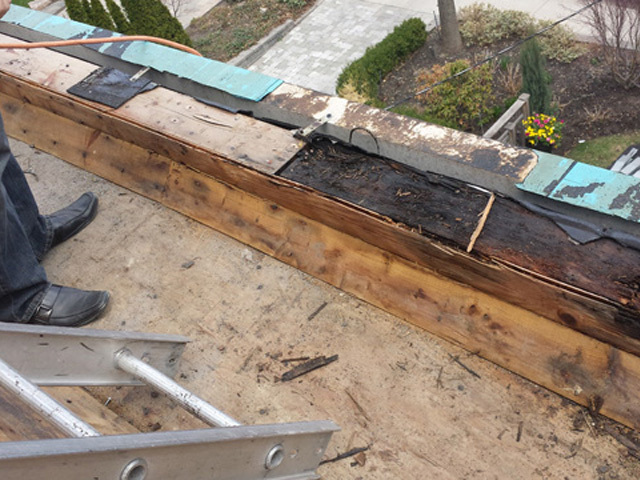 Robert and Dimitra had had their roof replaced – not once, but twice– in a short number of years, and yet they continued to experience leaking and water damage in the ceiling. Needless to say, their confidence and trust in contractors had eroded considerably, and they were in this mind-set when they contacted us. They initially called on us to install a heat-tracing cable in the downspouts, thinking it may help solve their problem. The previous “roofer” had told them they had to have their own electrical contractor do this work. 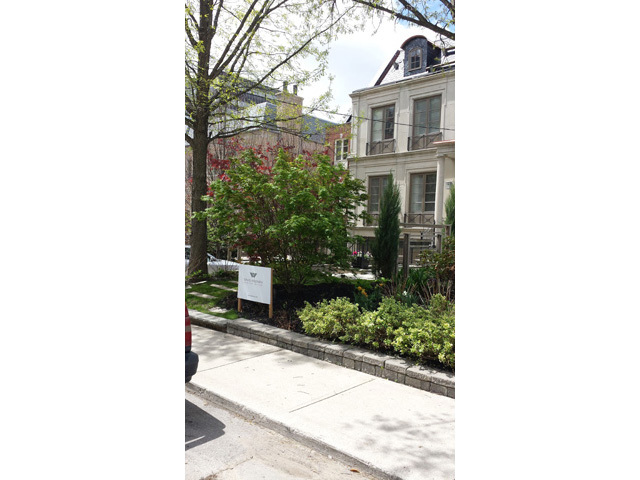 Dimitra called my electrical company, and I attended personally. The whole thing didn’t sound right. 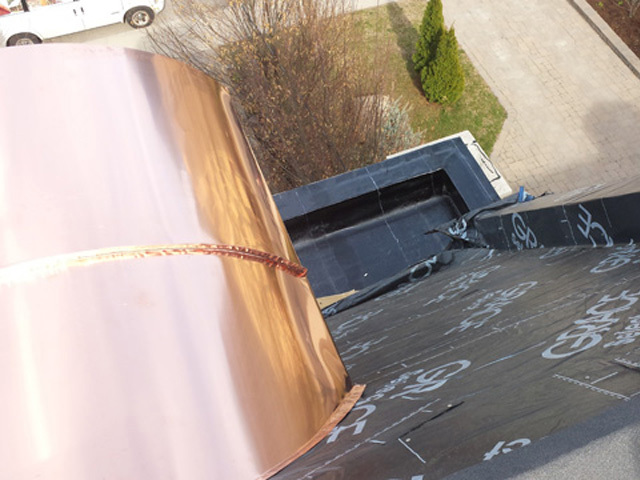 A properly built and installed roofing system shouldn’t require heat tracing unless the diversion in the horizontal portion of the downspout is considerable. It wasn’t. We decided to do some extra digging and discovered that the previous roofers hadn’t vented properly and the water damage was actually caused by condensation... there hadn’t been a leak at all! Unfortunately, the roof was so damaged it had to be replaced yet again: the insulation in the rafters was soaked; the sheathing on the roof was saturated; the drywall was, for the most part, moist from the products of condensation. We rebuilt and replaced the entire upper roof including sheathing, insulation, flashings and, most importantly, PURLINS!! We orchestrated the relocation of their very tasteful furnishings during these invasive scopes of work. 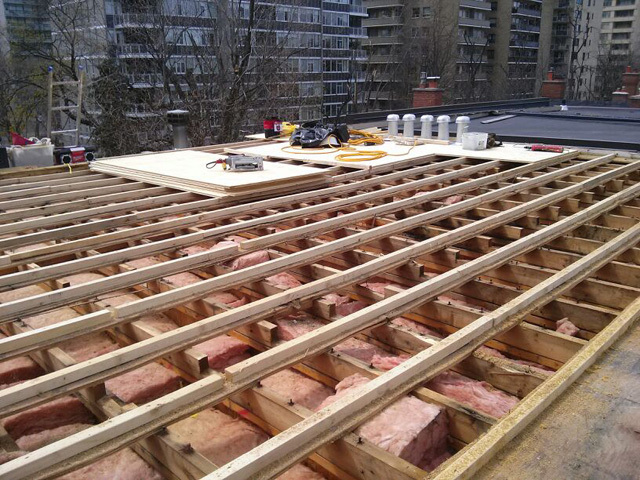 We gutted and rebuilt the ceilings where affected on the second floor front bedroom and the third floor complete. We did it in such a way as to salvage the crown moulding, sparing the additional expense of re-trimming those areas. This time, the problem solved. Clients happy. Please see Robert’s kind words in “testimonials” I worked quite hard to re-build the trust that is required between a client and their contractor. If the trust is gone, the relationship will most assuredly fail.